Teenage Stage International Summer School, the advanced theatrical holiday for 11 to 19-year-olds, has announced four Ireland and UK student locations for summer 2017. Due to popular demand, this educationally enriching musical theatre week for teens offers quality residential summer schools in Dublin, Galway, Ennis, and Belfast over July and August. Galway-based parent company Clapperboard has said bookings are "very positive" with more than 20 students from Paraguay and Croatia as well as high early repeat bookings from 2016. "We believe these intensive courses are an important antidote to the digital age, helping social skills, independent living, critical thinking, problem solving, and creative learning," said co-founder and head of pastoral care, Eliz Lucey. 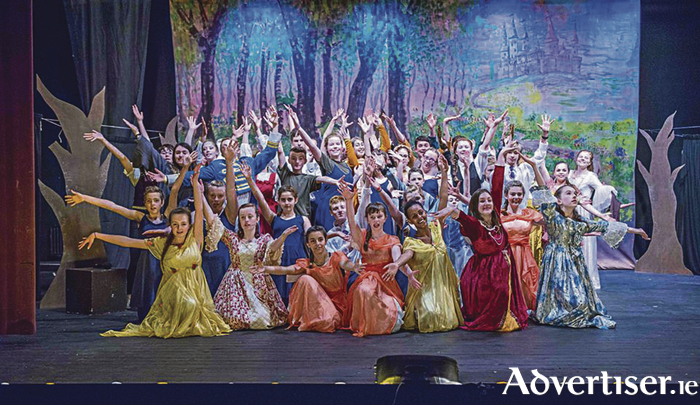 "Our aspiration for Teenage Stage is that a cultural gap exists for small groups of students to meet like minded friends from Ireland and overseas to perform a musical in a challenging but fun seven days," she added. "The response from the sold out course in Galway last year was wonderful and a packed page to stage timetable keeps everyone busy regardless of their role in our production, which is Sweeney Todd by Stephen Sondheim." The cost of the course is €635 per student which includes seven days' professional training, six nights' accommodation, all bedding, full board, all tuition and evening masterclasses, evening entertainment with materials, rehearsal CDs, scripts and costumes, guaranteed appearance in Sweeney Todd, school edition, and 24-hour supervision in secure and fully monitored venues in the company's halls of residence. The 2017 course is supported by the Centre for Drama, Theatre and Performance at NUI Galway and Queen's University Belfast. For more details and staggered payment options see www.teenagestage.com or call the office on 091 556274.